Home › Home and Kitchen › Esky Backlight Rechargable 330Yd Remote Dog Training Shock Collar Beep Vibrat..
Esky Backlight Rechargable 330Yd Remote Dog Training Shock Collar Beep Vibrat..
Patent product, all Esky branded dog collars are patented product(have the patent number on both the remote and collar)Quality is much better than that of knock-offs. Multichoice for dog training, It can provides a professional 100 level shock and 100 level vibration. 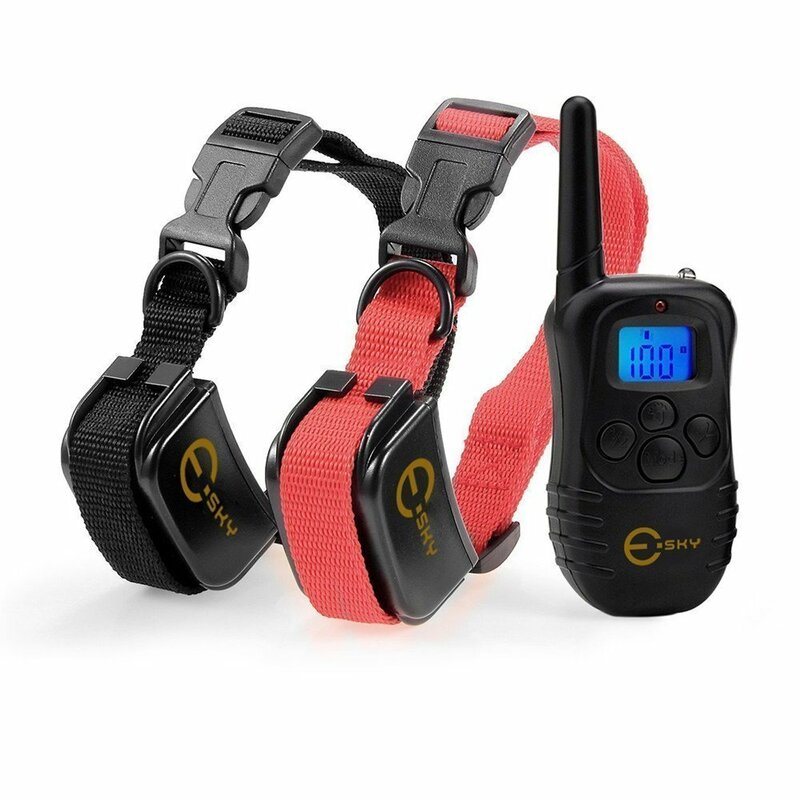 Power Saving, The collar and remote will be into standy mode if no operation in certain time.